IT WAS January 2015 and election time in Sri Lanka. The incumbent of nine years, Mahinda Rajapaksa, was in the race, seeking a third term that would allow him to consolidate his increasingly authoritarian rule over his country. In his sixties, he and his ruling coalition expected to breeze through a closely contested election. His advisers told him so. And why not? Incumbency invariably affords an advantage. The opposition, that had been recently cobbled together to confront the nemesis, was marked by infighting. The economy was doing well even as the country inched closer to China’s sphere of influence. Chinese credit flowed copiously to build critical infrastructure. The incumbent had the apparent support of the ethnic and religious majority to which he belonged. He especially relied on the support of his core base in the rural heartlands. They had been solidly behind him in previous elections. Rajapaksa was particularly divisive. That made the other ethnic minorities tired of his antics. Allegations of graft and cronyism were rife under his watch. The rising cost of living impoverished the people. Social trust in government plummeted and the bulk of the population had resigned to their fate. To shore up support the incumbent promised, in successive speeches at the stump, salary increases to civil servants and many other benefits should his coalition be returned to power. Observers said that this election would be the last chance for true democracy to prevail in the country. Eventually, the surprise groundswell of support for the opposition overcame the incumbent’s hubris and complacency. Although he won a seat in parliament, his ruling coalition was soundly trounced by the fledgling opposition. He conceded defeat. A smooth transition of power followed. Many were gobsmacked — not because they had a new government, but that democracy had worked! Sounds familiar? If you were thinking that this series of events relate to the recent happenings in Malaysia, you will not be wrong. It surely resonates! The run-up to the elections in both the countries was starkly similar. And in both, it climaxed in the same euphoric ending. Both nations overcame the odds to install a new government. 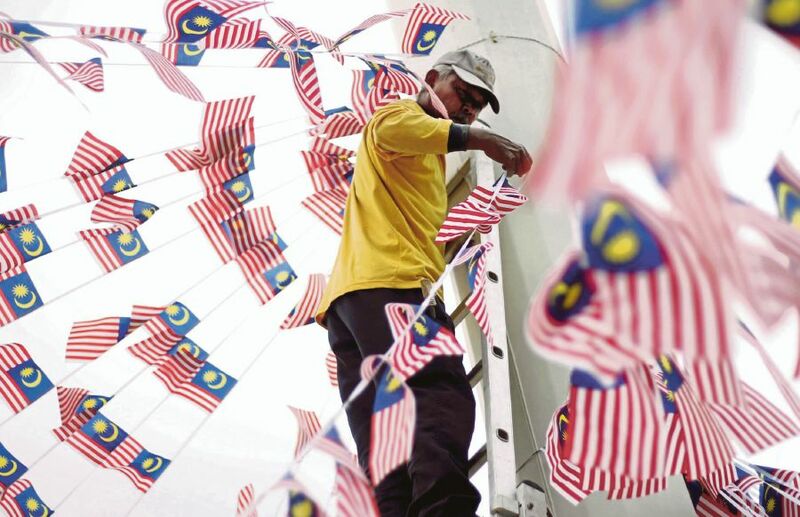 Overcoming the odds has always be the mettle of Malaysians. We overcame the odds by gaining Independence without bloodshed. Soon after, we overcame the Indonesian confrontation — stemming from Indonesia’s hostility to the formation of Malaysia — in the mid-60s. And we overcame the odds of Indonesia not formally acknowledging Malaysia in 1966. We prevailed over the odds of an isolated racial strife flaring up across the nation by snuffing the smouldering wick of discord. Soon after, we prevailed over the odds of the vicissitudes of commodity prices and the armed communist insurgency disrupting our economy. From the 1970’s until the East Asian crisis in 1997/1998 our per capita income tripled. We were touted as the next Asian tiger. And why not? We were the 13th largest nation by the 1990’s. We conquered one recession after another to post historically unprecedented growth rates of roughly nine per cent during much of the 1980’s and 90’s. Sri Lanka frittered away the electorate’s confidence in the new government before it could embark on meaningful reform. Our government should wise up to capitalise on the overwhelming goodwill that the people have showered on it to move the nation forward. Much needs to change. We have greater odds to beat in the years ahead. As with Sri Lanka, public institutions in Malaysia became politicised under the previous regime. These have to be returned to ‘neutral professionalism’. The extensive network of patronage will have to be dismantled. As with Sri Lanka, runaway borrowings have saddled the new government with a mountain of debt, forcing it to seek cover in cheaper yen credit. It is a welcome reminder that cosying up to any one government should be avoided at all cost. National integration came under attack at the hustings. The new government has the unenviable yet noble task to institutionalise a new template to reflect the new Malaysia. That roadmap must forge a united society where members project their national identity before their ethnicity. Tolerance and compassion should be their virtue. The new Malaysia should be inclusive. It must demonstrate fair distribution of economic and political power across communities. In a democracy, the role of the press is important. It reflects the will of the people. It affords a platform for meaningful political discourse. While previously the mainstream media felt hobbled, the new-found freedom under the new government has made them more assertive. They could do more in raising issues that matter to the people. Peter Drucker, the late management guru once quipped: “Culture will eat strategy for breakfast.” Whatever the good intentions and plans of the govern-ment, they will not pass muster if societal culture is inimical to them. Our culture has long ingrained universal values. The Rukunegara is one embodiment of such values. Cultural and behavioural reform starts with the leadership living out these values. The new government has demonstrated a promising start. It now behoves us all to intensify the assimilation of these values into our consciences and live by them. The new government has much to change if we do not want to slide backwards. It should not fall short of our high expectations. That requires extraordinary effort and divine intervention. And, as before, we shall overcome!